Dementia is a general term to define reduced mental ability or persistent mental disorders. It not only leads to memory loss but also deteriorates other brain functions. It destroys speech, coordination, comprehension, concentration, reasoning and decision making. As the disease advances, a person even forgets his/her name. He is unable to perform daily basic tasks such as dressing, eating and cleaning. Alzheimer’s is the most common type of dementia. Usually, people above 60 years or more are at risk, but it may begin at an age of 30’s. The doctor may prescribe medicines to help the patient with few symptoms, but there is no cure for dementia. Nuts- Nuts such as almonds and walnuts are rich in omega-3 fatty acids, Fibers, and antioxidants. They fight inflammation and helps in the development of the brain. Coconut oil- Ketone present in the coconut oil helps in building the lining of the nerves thus enhances the functions of the nerves and prevents dementia. Green leafy vegetables- Mustard green, Kale, spinach, lettuce and collard are rich in Vitamin C and vitamin A. These vitamins fight with free radicals and prevent the brain from oxidative damage. Also, they contain Folate and B9 that eliminates depression and improves cognition. Cinnamon powder to prevent dementia- Cinnamon powder reduces the formation of plaque in the blood vessels, improves the blood supply to the brain and improves cognitive functions. Spirulina and chorella powder- Spirulina also called as blue-green algae. It possesses the property to flush out heavy metals that may cause memory loss. Chorella and borax powder also flushes out the toxins and heavy metals from the body. Cruciferous vegetables to prevent dementia- Add broccoli, Brussel sprouts, cauliflower, bok choy, and Cabbage in your diet. They contain Folate and carotenoids that lower the level of homocysteine that causes cognitive impairment and brain damage. Berries and cherries- Berries are rich in Flavonoids, Anthocyanin, Vitamin C, and antioxidants. They protect brain damage and prevents dementia. Red apple and red onion- Red onion and Skin of red apple contain Quercetin. They also contain Anthocyanin. Both keeps the brain healthy, improves memory and prevents dementia. Eggplant- Along with Anthocyanin eggplant also contains Nasunin that protects the lipid that forms the brain cell membranes. Fish and seafood prevent dementia- They are rich in Omega-3 fatty acids and Vitamin E that acts as antioxidants and improves brain functions and prevents cognitive impairment. Turmeric- Curcumin present in turmeric is anti-inflammatory and helps the brain cells to grow. It not only prevents dementia but also to some extents cures it. Rosemary-Carnosic acid present in the rosemary is a Neuroprotector and thus prevents dementia. Gingko leaves extract- Due to its property to improve the circulation, Gingko leaves not only prevents dementia but also improves memory, reduces anxiety, confusion, concentration and cures dizziness. Green tea- Green tea reduces the plaque formation. It also contains antioxidants and detoxifies our body. Drink green tea regularly to improve memory and prevent dementia. 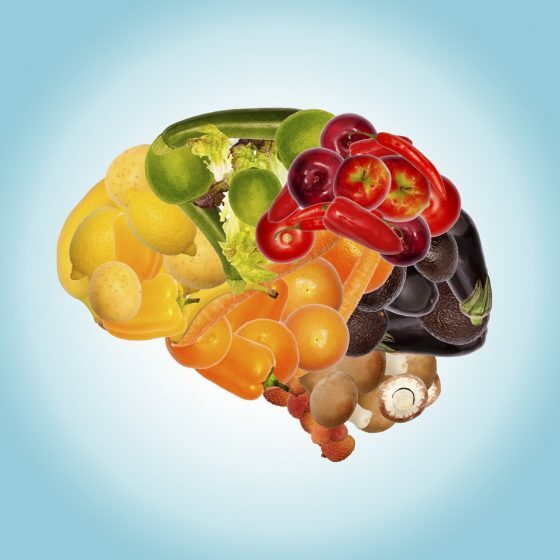 Besides including above discussed foods to prevent dementia in your diet, exercise daily, avoid alcohol, smoking and caffeinated drinks and reduce stress to improve brain functions.